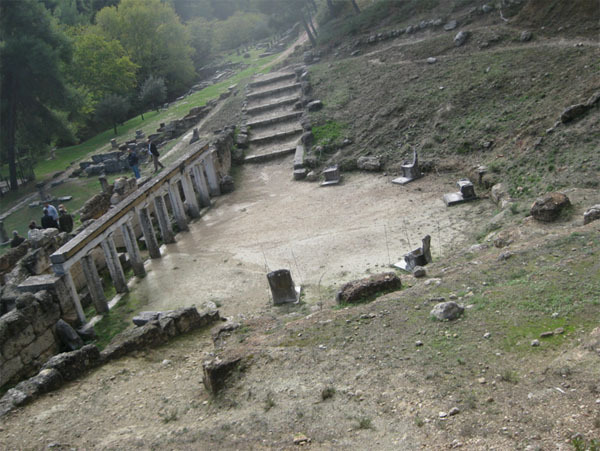 The theatre is dated to the 2nd century BCE by inscriptions and the seating area was likely composed of wooden seats on stone supports. 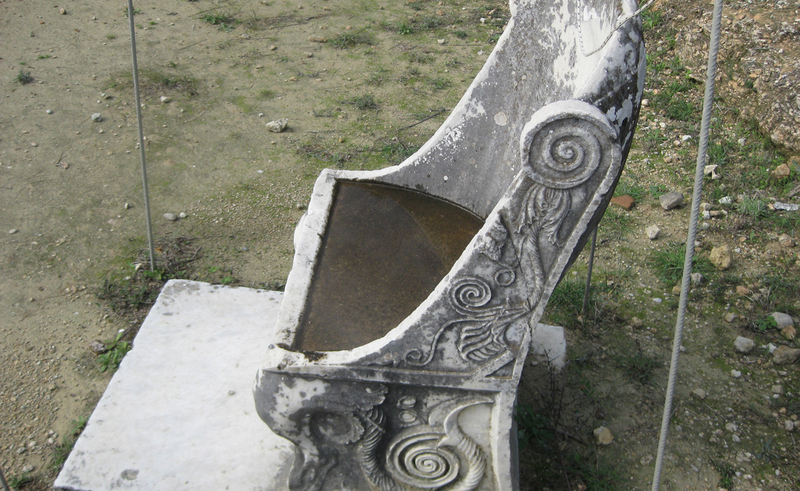 Five marble prohedria were discovered placed around the orchestra. 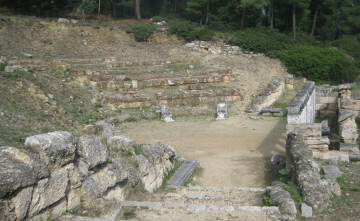 Two parodoi led off from the orchestra between the seating area of the cavea and the stage building. The Doric order proscaenium of the stage structure is well preserved. The theater would have held approximately three hundred spectators. 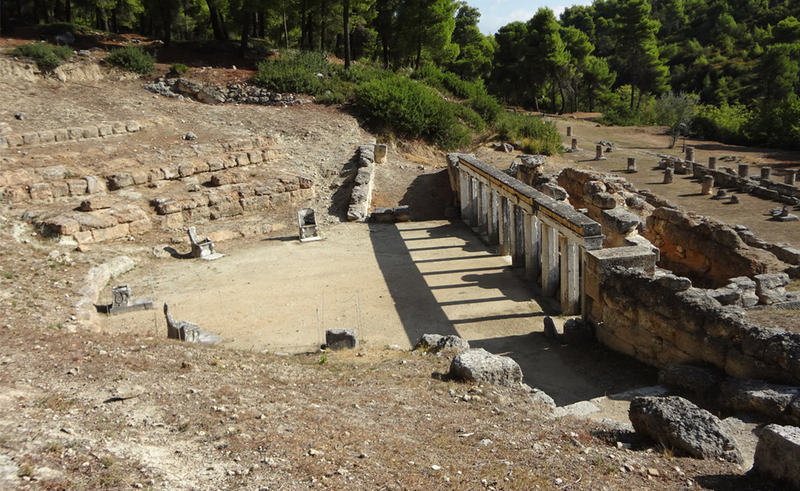 “DIAZOMA” has opened a special bank account for the ancient theater of the Amphiariou. The Urban community – a Non-Profit Organization called Monumenta, as well as the local community, are also helping to promote the monument. 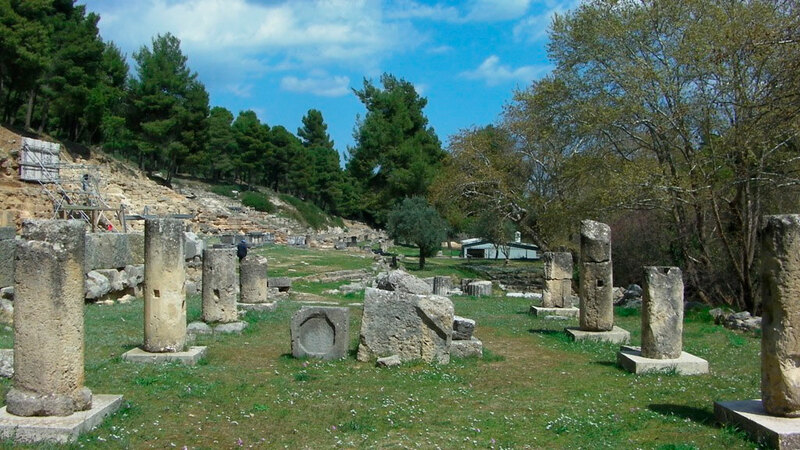 On Monday, November 12, 2012, a Cultural Developmental Program Contract of € 50,000 was signed between the Ministry of Education & Religious Affairs, the Ministry of Culture & Sports and the Region of Attica for the project “Cleaning and Documentation of the Ancient Theater of Amphiariou”. 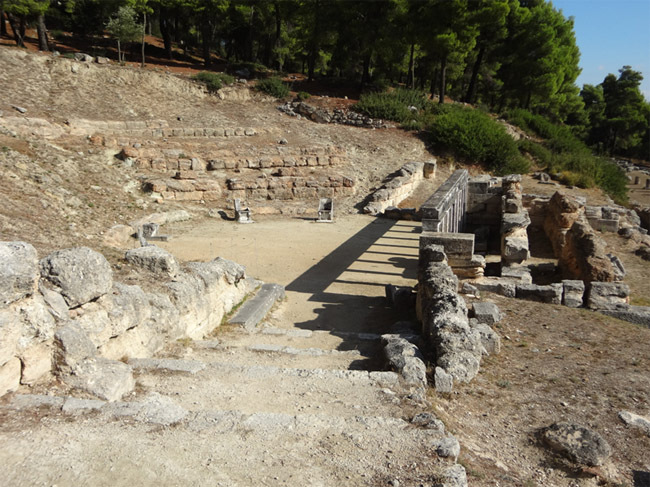 The aim of the program is to carry out the necessary work for the cleaning and documentation of the ancient theater which is located in the archaeological site of the Amphiariou Oropos in Attica. The Programming Agreement has not been activated therefore a new one needs to be signed.